Faro is the administrative center of the Algarve province. This city, with 42,000 inhabitants, is located in the south of Portugal. At the 70s, its coast was one of the most popular in Europe, as the beaches and the climate of the Algarve are simply wonderful. From the border between Spain and Faro, sandy beaches form small islands, access to which is possible by footbridges and boats. The city is home to the University of Algarve, a seaport, a marina, a railway station and a bus station. You can even use car rental Faro Airport and look over the city in an unhurried manner. Faro is the venue for major motorcycle racing competitions. In addition, an annual student festival of the University of Algarve is held here – this is one of the biggest events in the life of the city. Faro is hospitable, many foreign students are attending lessons and courses at universities and schools of Faro. Here are three different educational Institutions of the city, which are able to awoken your interest in studying in Faro. The pioneering spirit of ETIC, based on “know-how-doing”, led to the opening of this prestigious school in the south of the country, in the city of Portimão, in response to a great demand for quality training in the areas of creative industries in this region. After four years of experience in the city of Barlavento, the School of Innovation and Creation of the Algarve relocated to the city of Faro, for more effective response to the audience in terms of space, affordability and location. The new headquarter of the school offers a photo studio, a video studio, an editing room, and three rooms, with about 600m 2, where it is possible to build various installations. In addition, there are computers with 16 workstations each, a theoretical room, lounge space, library space and a resource center. This school is functioning as a training center for the students of Portugal and other counties. The ETIC thus reinforces its position in the south of Portugal, as their trainings aimed for the creative industry, preparing students to the real work market, covering the areas of Communication, Design, Photography, Sound, Video and Web. The school was founded May 19, 1991. The University of Algarve is a center for the creation, collecting and exchanging of culture and humanistic, artistic, scientific and technological knowledge, contributing to the cultural and scientific promotion of society. The center is operating with an aim to improve its capacity to respond to social, scientific and technological changes, to develop communities, particularly in the Algarve region, for promotion and consolidation of such values ​​like freedom and citizenship. It was founded 11 December 1979. To adopt an exclusively university profile, from 1989 on, it integrated to the Polytechnic Institute of Faro. 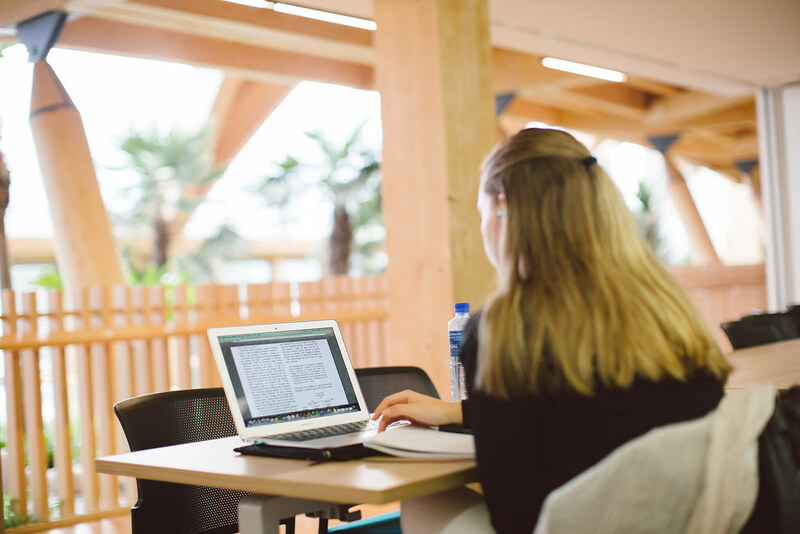 In this new format, the University of Algarve has multiplied its training skills, its scientific research capabilities and its knowledge transfer potential. There are four campuses, three in Faro and one in Portimão. In recent years, there has been an increase in the number of foreign students from more than 60 countries. The quality and diversity of European Masters and Erasmus Mundus Masters, gained over years, confirm this broad recognition. 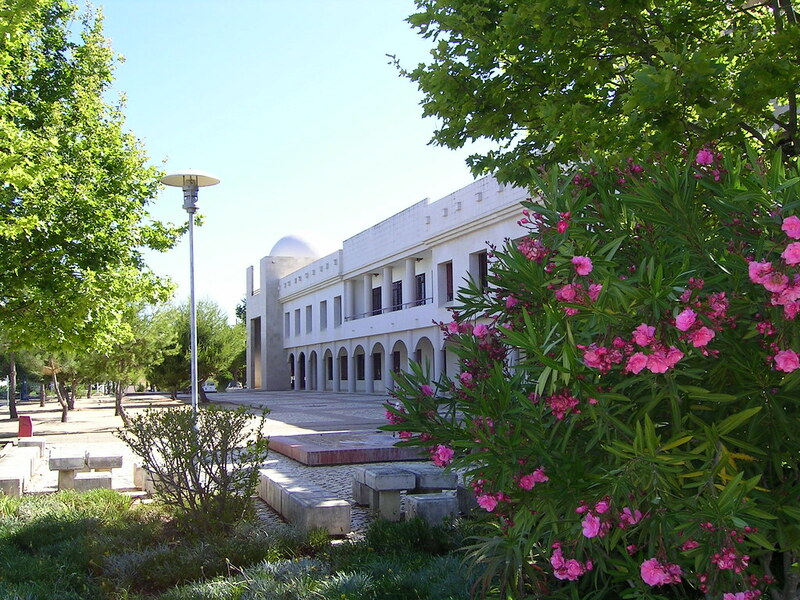 The University of Algarve has played an important role in the development of the region over the last three decades. It established the link with the business community, with public and private organizations, contributing to a more sustainable growth of the entire community. The language school CIAL offers language courses in two cities in Portugal: Lisbon and Faro. The school was founded in 1959 and for more than 50 years has been teaching students Portuguese, as well as introducing students to the culture, history, culinary traditions and music of all Portuguese-speaking countries. CIAL accepts students from all over the world, most of them are students from the European countries, the US and Canada. In Faro, the CIAL school is located in the city center within walking distance of the beach, the main attractions and the pedestrian street for the shopping lovers -Santo Antonio. 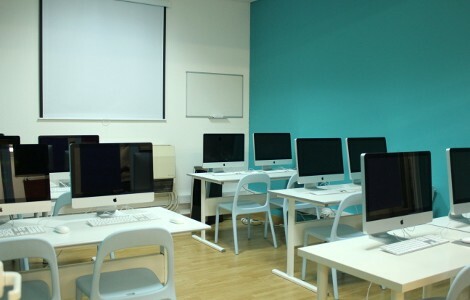 The school in Faro is equipped with: Free Internet, 6 audio-video classes, library, audio and video equipment, computer class. The duration of one lesson is 50 minutes. The CIAL offers language courses at all levels. The beginning of classes is every Monday. For the beginners, the dates of the arrival are fixed. In addition, the language school CIAL offers courses in English, Spanish, French, German, Italian and Danish in Portugal. The accommodation is possible in host families, residences and hotels. The thousands hundreds of students choose UK schools and universities to study there. The United Kingdom of Great Britain and Northern Ireland attracts more and more students as the leading country to learn English. This is a country of British classic education, powerful economics and government to welcome everyone with the high scientific and creative potential. As far as the territory of Great Britain is not large, students can travel over the country to meet different cities, city attractions and interesting places. The island is mostly covered with forests, national parks, lakes, castles and palaces, small towns and historical ruins, ancient churches and glorious villas. Great Britain is perfect place for international students exchange. The representatives of different nations and different countries live and study there. London is not just a capital of Great Britain but huge prosperity metropolis, the capital of fashion, theatre, city with more than 200 touristic attractions, cultural heritage, museums, shops, street fairs. London is one of the most attractive cities in the world. Locals and tourists think of London as an old friend to share new impressions and get memories. Students that get their education in UK, use their opportunities to the full to enjoy not only touristic monuments but bright and hospitable places and people. The English language educational programs help to become the part of city, where people like your intellectual skills and high education of elite class. This is the popular language school than is more than 50 years old. It offers language courses and teachers training programs. The school is situated in a big modern building not far from the Covent Garden to be the part of the world popular International House World Organization. The International House London welcomes more than 8 000 students from 150 world countries every year. The students like the opportunity to study in the dynamic atmosphere of IH London. You have a chance to meet students from the different world countries. The school offers a wide range of professional courses for teachers (CELTA, Delta, Distance Delta), business English courses, examination preparation courses (IELTS, Cambridge Certificates), modern English. International House London boasts with the teachers’ qualification and students care programs. This is the school of English language in London where more than 3 000 of students from 100 world countries come to study every year. Malvern House was founded in 2000. This independent school was accredited by the British Council in 2003. They are always glad to welcome you to offer training in business English, examination session, modern English. The school offers dynamic multicultural atmosphere for study and communication. This place is modern: light cabinets, multimedia equipment, internet, Wi-Fi, comfortable furniture for students and guests. The International Language School offers to get professional education in the language schools all over the world, especially in London, Oxford, Manchester, Birmingham and Toronto. The schools are proud of their international status, interactive educational approach and comfortable location – they all are located in the center of the city. 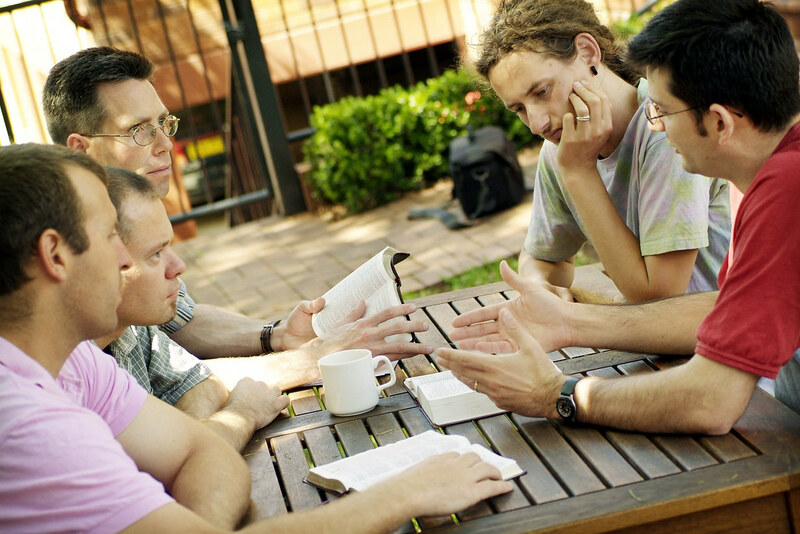 You are offered to study in a small group. It is very attractive offer for students as far as they get enough attention from teachers. Professional teachers give you a guarantee to learn languages in modern way with the help of discussions, debates, everything that help to feel the beauty of language. TLG schools are proud of their international accredits. The schools of London, Manchester and Birmingham were accredited by the British Council – one of the most prestigious awards in the sphere of language education; the schools of Canada were accredited by Language Study Organization. The schools of London and Birmingham are the members of English UK – prestigious international association of English language Study. The schools traditionally offer to be prepared for exams (IELTS, Cambridge ESOL). The school is comfortably situated in the center of the city, not far from the Bloomsbury Square Gardens – amazing place to have rest after lessons. There are many restaurants, bars, cafes, shops and colorful streets to explore. The school atmosphere is active, the teachers are friendly and ready to help anytime. The school in London offers many different English language courses, including general English for university and academic English. You can also choose business English, financial or legal profession English. 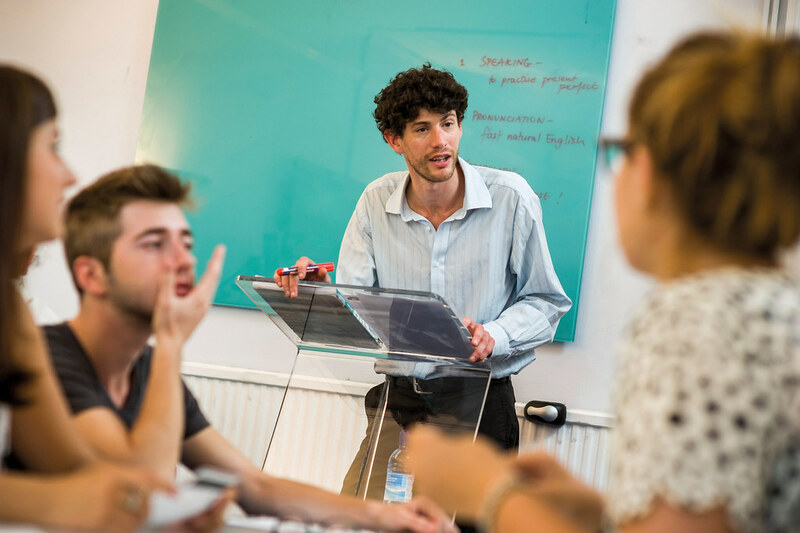 Traditionally, the school prepared students to pass exams, especially IELTS, Cambridge exams: First Certificate English or Cambridge Advanced English. Besides, there is an opportunity get individual training courses, considering time and content. This school is also situated in the very city center, few minutes far from the railway station and heart of the city. The study process in this school is modern, professional. Manchester is a city of music and football. Never forget to visit Arts Gallery, Football National Museum and world popular stadium Old Trafford. The school is situated in the center of the glorious city. Hire a car in Birmingham airport and go to the city center to get the school. Such comfortable location makes you to combine professional language study and available attractions, entertainments, shopping in this living interesting city. Birmingham City University is the biggest UK university that is also worth mentioning. It is famous of its history and high class education. The university was founded in 1843. More than 23 500 students from 80 world countries come to study there. The university gains the reputation of strong preparation in the sphere of design, music, pedagogics, theatre arts. It is also famous of its effective methodology, practical studies. Birmingham is industrial city and important transport brunch. You can get to the university from every country point. If you came from another country, you may use car or public transport. The international airport is close. The university offer high class conditions to live and study to every student. The university campuses are equipped with 3500 computers, Wi-Fi zones and informational center with the huge library. The cafes and restaurants are also near at hand. Financial Times assigned the world rate of popular business schools. The first TOP 5 positions are held by Canadian organizations. The reasons of success of Canadian MBA (Money Business and Accounting) are good quality of educational programs and adequate prices. The most of prospective students think of Canadian schools as the basic variant, important step in their education. More than 30 business schools work in Canada. The most of them are situated in Ontario province. Canadian system of business education is considered to be the best-developed in the world. Canadian diploma is in demand and the life and education in Canada is cheaper than in America, for example. The standard two-year American program is about 30 000 USD. The price for the same course in Canada is half cheaper. MBA system is key system of business-education that is popular for all modern industrial countries. Canadian business schools are not as popular as American. Nevertheless, Canadian MBA diploma is well-regarded all over the world. The most of employers considers Canadian business-education as professional and competent. You can get MBA level just from the university. There are many student quarters, modern libraries, students clubs and career centers. The usual price for education is 20-25 000 CAD. Candidates must have higher education and 1-3 years of working experience. It is also very important to get no more than 550 points in General Management Admission, and no more than 100 points in English. The academic year lasts from September till April, consisting of 4 terms. The term of educational is 1-2 years. The choice is big. There are many good variants to study there. Students may choose different educative methods and places to live and learn. Consider transport and business-school location. You may easily hire a car in Toronto or Montreal and use it every day for the period of your business-vacation. The leading position is taken by Rotman School of Management in Toronto, Richard Ivey School of Business in Ontario and Schulich School of Business in York. MBA programs in Ryerson University started in 2006 to prepare specialists in different specialties: corporate social responsibility, personnel management, marketing, sales, commercial realty and others. There is MBA program in the sphere of technology and innovations management. This specialty gives opportunity to get specialization in the sphere of informational systems, media and supply management, logistics. Asper Business School offers to all students to get educational level in such business spheres as finances, leadership and organizations, marketing. The courses in enterprise, innovations and development are also available. The university is located in the center of oil-refining industry. So, the programs of education are closely connected with energetics and development. They are always in high demand. There is also a course in economics of carbon industry. The main characteristics of education in this area are small groups and summer programs that the University provides with such important partners as Neoma Business School in France and Jonkoping International Business School in Switzerland. Telfer School of Management has part-time education in its practice. This is a good chance for students to choose right educational program according to their preferences and free time. The university extends the quantity of business partners every year. What a nice opportunity to get academic knowledge and practical skills. Gustavson School offers great international opportunities to their students. The graduates can work in India, China or Brazil. There is also a chance to take part in different exchange programs to cooperate with 32 university school-partners. The school works in two main principles: enterprise and service management. The school of business offers a wide range of different specialties in master course programs. New and new interesting programs appear every year, based on market needs. Students can graduate in such specialties as natural resources, energetics, environment, enterprising and others. The program is good for students, who look for improvement of their skills and professional knowledge in the sphere of business and management. The students are concentrated on studying main course and supplementary course subjects. This business school offers more than 20 specialties in MBA program, including business development, global management of merchandising policy. The partnership of Canadian school with China, India opens new horizon for students. The aim of the school is preparing erudite specialists for different business spheres. It helps using your skills effectively. The main educational spheres are: management, communications and leadership. 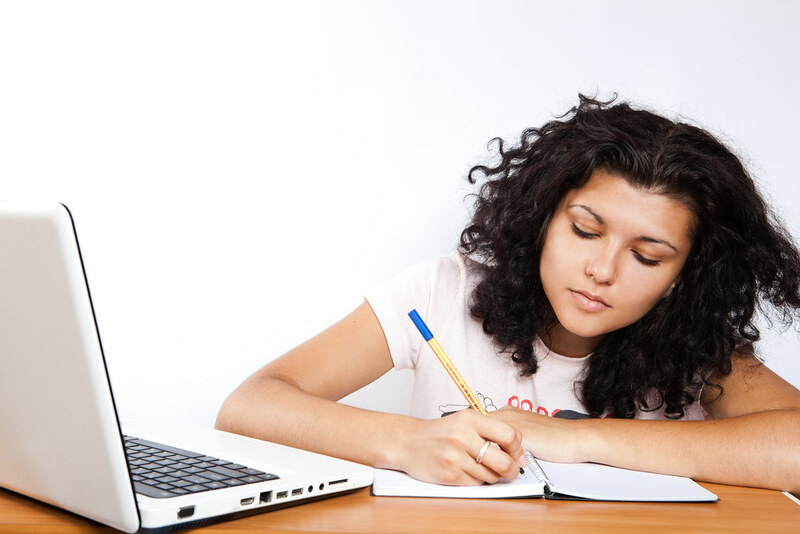 In addition to main course subjects students may choose additional educating programs. The main educational directions are: consulting, finances, marketing, sales, health care management and others. This school is perfect for students, who want to combine academic knowledge and practical skills. There are many older professionals who want to get back to college to gain higher education. Starting as adult students can have huge impacts upon our lives. In this case, we should make sure that our efforts are more efficient and more effective. Older students often need to perform many changes in their lives to perform well in colleges. 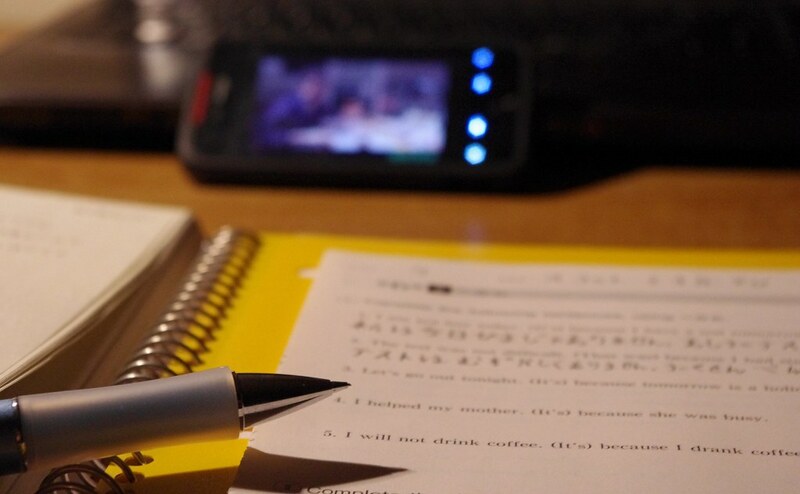 In many cases, older students need to catch up and re-acquire the long lost study habits. One of the most important things are time management and activity planning. It is important for older students to be able to practice their study skills at a more conscious level. These study skills can become new habits that they can use in the workforce. After practicing these new skills, it could become a second nature. Many older students need to juggle between activities, such as work, family and school. Time is an irreplaceable asset and we can’t add one more second to our day. It means that older students should know how to use their time effectively. Time management is about making sure that our time can be used and managed more properly. The effectiveness and efficiency of our actions can be enhanced properly using time management skills. In this case, we should eliminate any kind of time waster. It means that we should eliminate any action that doesn’t provide something meaningful, such as watching TV and sleeping too long. In this case, it is important for older students to avoid wasting time unnecessarily. It is true that people need to do laundry and exercise, but these activities should be performed much more efficiently. People who can perform time management tasks properly won’t have any kind of time wastage. As an example, when we do the laundry, we can listen to various audio material for our schooling purposes. There should be enough blocks of time that allows us to accomplish specific tasks and we will be able to move toward our overall goals. We may need to plan our shopping trips more efficiently and look for ways to reduce overall driving time. When preparing presentation, we should make sure that we choose all the proper steps. If we are able to follow all blocks of time properly, then we are capable of doing time management method properly. It is also important for us to plan for specific actions. In general, many people can’t succeed without having proper planning. We should know what kinds of actions that can provide the most appropriate results. We may not know what kinds of actions that can generate the results we want. In general, results can be related to life goals, work and school. Time management and planning are two methods that need to work together to generate the desired results. Spontaneous and non-productive actions should be eliminated whenever possible. Normal activities should be properly planned to maximize the overall effectiveness. Eventually, people would need to study, whether in school or home. Many people want to further their education to get promotion at work or simply to learn more something that they desire. Although studying is one of the most important life skills, it can be quite daunting for many people. There are many things that we should do to improve our study performance. There are also many mistakes that people do. One of the biggest mistakes is by not getting organized. People who are organized can keep themselves fully focused. Lack of organization could cause us to lose time by looking for lost pencil sharpener or a text book. People who are organized can stay focused on the job. People often have many millions things that go through their mind. There are major distractions in life that we can avoid. Before studying, we should clear our mind. We may take a few minutes to settle our existing thoughts, so they wont interfere with our study process. People who have clearer mind will be better able to grasp what they learn. The space of study could also contribute to the study performance. People have their own unique preferences, as an example, some people learn better with light background music and others want a total silence. Studying in a group can be tempting, but if people don’t have proper self-discipline, they could become distractions for one another. Lack of motivation could also be bad for out study performance. If we want to get motivated, we should know what our goal is. People who don’t have clear idea of their intended outcome could lack the proper motivation. Long term results should be kept in mind. Our study process should also be timetabled and this could provide us with proper structure. Wasted time can be reduced and eventually eliminated. People who are successful with their study know how to absorb important information. It is important to know that people learn differently and they should know how to quickly absorb the most relevant information. Information can be absorbed in audio format. People are able to learn better with recorded lectures or something similar. There are also many visual learners who can absorb information better with diagrams and pictures. When there important aspects in our notes, we should use color highlighters. Images can be correlated with essential details and diagrams. Another method is called kinesthetic or learning by doing. This can be performed in laboratory or when there are learning tools that can help students to implement scientific principles directly. Regardless of what method they choose, it is important for any student to take notes. Highly detailed notes that contain easy to understand elements would be really helpful. It would be helpful if we have our own study material, such by using exam questions from previous years and flash cards. It is also a good idea to perform exam simulations at specific duration. Getting family members and friends to test on important points are also a good thing to do. How Life in College Could Affect Adult Life? People often go to popular colleges and universities to allow them to work at big companies and corporate. However, the life at college can be quite challenging and there are things that students should know. The drop out rate at college can be quite high at some areas. In fact, it could reach a near-epidemic level. There are different reasons for this. As an example, students may not be able to deal with the challenges. Students could also find that loans have become more expensive and they have risen steadily. Most students need financial aids to attend and complete their college education. The average duration of time in college can be about 4 years or more, depending on the student’s situation. In some cases, students need to spend six years or more to complete their education. This could cause them to spend too much money. One of the most important goals is to make sure that the college education can be completed at the shortest possible time. Students who don’t have proper goals may find it difficult to complete their education at the designated time. It is important to know that earning a degree doesn’t guarantee better success at work. However, it is less likely for people who perform poorly at college to have good career. Some drop-outs could become billionaires, like Bill Gates, but it is likely for them to have mediocre or less than satisfactory achievements at work. Drop-outs can be forced to accept minimum wage jobs to cover their daily expenses. Although it is possible for them to achieve good career, they would need to work harder because they start from lower positions. Also, if people can’t deal with challenges at college, they may not be able to face similar challenges at work. In general, college life is an early simulation of what students would need to face in real corporate life. They need to work hard and compete with other students to gain grants, scholarships and other perks. The lack of money could be seen as detrimental for the overall progress of education, so it is important to make sure students are able to gain financial support whenever they can. Students who perform well at college are more likely to perform well at work and this will allow them to achieve significant financial gains. However, it is important to make sure that students choose the right kind of majors, because due to technological changes, some skills and expertise could become obsolete in just a few years. A large percentage of students don’t get first jobs that are relevant with their majors. There are also social challenges in college. As young adults with newfound freedom, many students succumb to alcohol and drug abuse, causing significant decline in educational performance. When the problem is severe enough, students could leave college and have further difficulties in life. Student loan and the lack of ability to gain financial help could lead to bankruptcy among young professionals, especially if they also have credit card debts, mortgage and car loans. Many students are having issues with proper organization and they often throw things away too easily on the bed and desk. They do it as if they won’t take it again later. Many students don’t really mind about putting their clothes neatly. In this case, we should ensure to gain more responsibility. In general, this kind of attitude doesn’t make sense, because we may end up spending more time to do something. Students with proper organization skills are able to find things more easily and they don’t waste time or energy looking for something important in the room or in their computer. It is important for us to have proper reading ability to gain more skills. In this case, we will be able to find ways to improve our conditions. Regardless of what we do, we should be able to find things easily. Proper organization should apply to our activities and surrounding. With proper organization, many students are able to achieve good time management and effective planning. This could go hand in hand with excellent planning and organization. Good planning will allow us to organize properly and with good organization, proper planning can be enhanced. Good organization should be about what could get in the least amount of time. Without good organization, there are many missing key pieces that we need to consider. Obviously, we can’t make cake if we have no eggs. In this situation we should try to make our efforts more effective by behaving properly in college. Prioritization can be highly important, especially if our lives are filled with so much activities and forces. Any of the life component may need enough time and energy. It is important to determine what kind of activities that need to be prioritized. There are also activities that require higher degree of resources. Bad prioritization could lead the resources wastage and it is possible that we would get lost in the crowd. Things can be quite difficult if students are paid minimum wage and they need to cover for college expenses. Also, some bosses could uncompromisingly ask students to work overtime and this could cause them to miss classes. The situation could get worse and students may need to choose between college or work. Students should be able to negotiate with their bosses on how to avoid working overtime due to their educational responsibility. Proper organization and prioritization can lead to another skill called critical thinking. Critical thinking is an important behavior that can happen if we have proper organization and prioritization. People who need to withstand the pressure of life may not be able to think critically. School politics and peer pressure are enough to prevent students from thinking critically. Students should also try to avoid wasting resources and take ineffective actions. Inefficiency will result in poor situation for thinking process. With critical thinking, we should be able to avoid any kind of pitfall and trap. In general, we should be able to find enough room to make improvements. It is often said that private schools are better than public schools. Many students attend “typical” public high school and their quality may vary significantly. There are indicators that we can use to determine good quality school. In fact, many public schools are equal to surpass private schools. We should know that knowledge knows no place and it doesn’t reside only in expensive school. It is possible for students to get first class education in local public schools. Access for knowledge is the same. It can be obtained from books, videos, lecturers and other sources. If our children don’t seem to perform well in school, we shouldn’t blame the school, because there are many indicators that we should consider. It is important for parents to know what their children do in public schools. Regardless of the school, people can reach top level positions only by working harder. Also, we should know that private schools are not always better than public schools, including their teachers. Teachers need excellent professional credentials and there are many qualified teachers in public schools. It is important for parents to be more proactive and seek teachers that can provide the best possible education. Many parents are concerned that their children may get bad influences from public school. It is true that public schools are designed to serve everyone and it means that students who have interest in learning could benefit significantly from public schools. Many larger public schools actually have schools within the school, allowing students to get narrowed down education on many subjects. It is often said that private schools have more high achievers. However, some private schools are filled with students who are expelled from public schools. Parents shouldn’t kid themselves into believing that students can be isolated from bad influences in high schools. Some private schools can actually have decadent lifestyle with parties, alcohol and even drugs. Public schools are often believed to have less academic rigor. It is true that students can complete most public schools without too much learning process. However, public schools with more rigorous tests and other remands can prevent low-achieving students from graduating too easily. Many public schools are known for their high caliber learning experience that can rival some of the most expensive private schools. Many parents believe that there are more extracurricular options in private schools. In reality, larger public schools could have a variety of extracurricular activities for students. As an example, students can choose between different athletic programs. Extracurricular activities can be chosen based on different preferences of students. Many parents also think that good public schools are usually found in rich neighborhoods. This may be true because the local tax base is better and there are better community that supports public schools. Affluent families may want to make sure that local public schools can cater to their educational needs. However, many public schools that are located in suburbs often provide excellent learning quality. This is an important thing that we may need to consider. How to Deal With Fear of School? Many parents are concerned that their children are unwilling or afraid to go to schools. This could affect young kindergarten kids to young adults who are about to go to college. New schools can be intimidating students because they face a relatively unknown environment. There could be a combination of factors that cause students to get afraid of something. In this case, parents should try to get to the root of the problem, so they are able to find proper solutions. Young children may act unusually when it’s time to go to schools, such as sobbing or complete defiance. When children do this, they are actually nervous about going to school, especially if they are comfortable inside the house. Fear is often the probable culprit of this problem. A good approach is by being communicative and calm. Children won’t respond well if parents only bark orders uncompromisingly. It is important for children to become comfortable and feel calmer about going to school. With enough patience, this problem can solved more easily. Parents should talk to children and ask about things that make them afraid. There could be academic or peer-related issues that parents need to discover. After children are being honest about their conditions, it is much easier for parents to provide solutions. Parents need to talk about each factor that cause anxiety. There may not be direct solutions for each factor, but parents could provide different point of views to deal with these factors. Alternative perspective can make children more confident in schools, regardless of the problems that they face. Parents should reinforce the new point of views, so children could stay confident. Fear of school could happen to children who were previously confident about going to school, but start to show constant and intense resistance. In this case, parents should ask whether there is something or somebody that causes students to become uncomfortable. There could be changes in schools that may make students uncomfortable. As an example, students could have significant educational burden. Threats, bullies and mean-looking teachers could cause children to become uncomfortable at school. In this case, parents may ask school counselors for helps so positive communication with other students and specific teachers can be established. It is important for students to have non-offensive and rational discussions with with their parents. Children should know what actions that they need to take. Tests could also cause problems among students and parents should ask whether children already have a test. Parents should encourage children to express any dissatisfaction about things in the school. It is possible that children are seeing things in a wrong way and parents can correct them. Accountability is also an essential thing and it’s important to make sure that children don’t repeat specific mistakes. In many cases, fear have its own unique reasons, depending on the individual. Lines of communication with children should be kept open and parents shouldn’t force children to enter a new environment without emotional support. How Students Can Cover Expenses at College? College education can be very expensive and it is important to avoid paying too much. Parents and students may also not understand the proper financial planning. There are different types of financial aids that college students can get, such as work-study, loans, scholarships and grants. The last two are free money, so students don’t need to pay them back. Scholarships and grants can be obtained from individual college, company or government. Loans can be obtained from financial institutions and they need to be paid back after students complete their study. There are many options that students can choose when looking for loans for educational purposes. Student loans usually have low interest rate. Even so, it is important to know that student loans can be a financially the worst option, because students would need to face various restrictions. If students can’t get grants or scholarships, a better option is by choosing work-study offers. It would even be better if students are able to choose to work at a place that corresponds with their majors at college. In many cases, colleges can award various financial support if students have excellent performance at sports and other extracurricular activities. In many cases, students are not able to cover financial costs at college only with family contribution. Financial aids can be determined by how students perform at the first year. These students could find ways to ensure that they have excellent performance at college. Before applying, students should know about the average amount of income that they should get to cover all of their expenses. When choosing for loans, we should know that the amount of money that we will spend can become higher each year. It means that young graduates may need to delay owning car or house, because they would need to repay the loan. The amount of loan can be reduced with scholarship or work-study offers. Students should choose the best type of financial aid packages. It is also important to know that the amount of grant money or scholarship can be reduced if students are not able to maintain their study performance. If students are able to get scholarship and grants, they should know that they have obligation to maintain proper performance at school. There is no benefit if we are lazy and we don’t want to study. We should make sure that the amount of grant is big enough to cover our overall expenses. In fact, many students are able to continue working after completing college at their work-study location. This will allow them to have better career pathways in the company. Students should have stronger academic profile to things that they want. There are financial needs that we need to consider and if students are not able to achieve academic credentials, things can be bad for them financially. An obvious way to reduce the total amount of expenses is to quickly complete the college. It means that students should have excellent goals at college. Students should have informed decisions and they should be able to save money properly. How Students Can Be Successful in Colleges? Many students are aware that they are not genius and becoming successful can be quite challenging for them. The college environment is quite competitive and courses can be increasingly difficult. First of all, students should be clear of their goals and be honest about their abilities. If high school students are actually not interested to go to college, then they shouldn’t go. Doing something that we don’t want could cause misery and frustration. Lack of motivation could kill our success in college. People who want to go to the college should be very well prepared to do that. Many students force themselves to like and attend colleges. Completing college requires persistence and dedication. If students want to be successful, they should be able to figure out their proper zone in the college. There are different types of universities and colleges that tey can choose. Students with better academic record will have more choices. Each college has different purpose or mission. Knowing our purposes in college is vital and we need to interact with professors and other students to understand our real paths. The type of school we choose should fit us. It is important to consider that college costs are already high and we shouldn’t dig a bigger money pit. The costs of colleges and universities can become higher each year and it is likely that parents need to get student loans for their children. Getting an approval letter and getting admitted in prestigious universities don’t really mean that we can afford them. In reality, it is still possible for us to get great education from affordable school. Prestige is superficial and it is better to become successful students in cheap colleges than mediocre students in prestigious schools. Students should know that they are able to implement their knowledge in the workforce. The job market for teaching in colleges are often saturated and PhDs from prestigious universities often find jobs in community colleges and small state colleges. It means, students are able to get excellent learning quality at lower prices. It is often said that student debts are good debts, but in reality; many young professionals filed for bankruptcy due to their inability to repay mortgage, car loans and student loans. Students should also have their greatest interests in the majors and they often determine future careers. Students should enter the job market and this can be achieved if they love their majors. Students should be comfortable with what they learn and they should even eager to learn more. The degree that we obtain may not be enough in a highly competitive job market. It is more important if we have proper skills that are relevant in the workplace. This should allow students to become highly employable. Eventually, students will make mistakes and fail in colleges. So, it is important for them to anticipate these occurrences and learn from them. If mistakes and failure do happen, students need to make improvements to avoid future repetitions, this is a proper way to gain success.